The WingMakers material is for me by far the most profound spiritual material I have ever come across in my life. I have been following developments on the wingmakers.com website ever since I first discovered it in late 2000. I was astonished back in early 2001, when I saw the highly intriguing original WingMakers website begin to be changed and distorted from its original purpose of encouraging people to look for the deepest answers within. Someone named James also for the first time claimed he had created all of the WingMakers material. For more on these major changes, click here. I was very interested when in February of 2008 a friend told me that he had received an email response from Mark Hempel, the man who apparently originally posted and hosted the WingMakers website back in late 1998. Inspired by this friend, I sent an email to Mark. I was very excited that he responded to my questions about the changes to the website. I then sent a second email asking harder questions. At this point, he referred my questions to James, the man who claims to have created the whole website and now claims that it is a modern day myth. I was absolutely thrilled when James gave a detailed response to my email. His responses to my questions, however, did not convince me that he was the true creator of the WingMakers website. I sent a second email to James asking even deeper questions about the changes that were made. Sadly, James never responded to this message. For those who are interested, I've included the entire exchange of emails I had with both Mark Hempel and James below. And to see a comparison of significant, revealing changes made in the WingMakers interviews, click here. Thanks for your interest, and you have a great one! You gave a wonderful response yesterday to questions about the WM material to my friend Chris Bowers. Thank you so much for that. Your inspiring response led me to contact you about some important questions I've had for many years. Through the large email lists I manage, I have turned on literally thousands of people to the highly empowering WM material over the years. From my extensive research on this topic, I believe you first posted the WM website on the Internet in late 1998. I first came upon it through a wonderful friend's recommendation in November of 2000. Though I initially had serious questions and doubts about much of the mind-boggling information on the site, I was immediately struck by the depth, clarity, and beauty of the philosophical writings. Tears welled up in my eyes as I had never in my life read anything which resonated so deeply in my soul. As I found the WingMakers philosophical material to be so deeply moving, I decided back then to copy the information on the website for future study. But then within a few months, I saw the website gradually begin to change from it's original form. Where it once freely provided inspiration through a story, poetry, paintings, philosophy, and music, the WingMakers website began to transform into a commercial endeavor, making the original content and other material available for sale. Whose decision was this? When did James come in, and how did you know to believe that he was responsible for the material? Did you know that the story around the discovery of the WingMakers site was changed and gradually given a very different spin? Are you aware that the discovery date of the Lost Arrow site was changed from 1972 to 1996? Two additional philosophical writings (both of which overall did not deeply resonate with me) were also added to the original two (which were both originally given on one webpage). Were these given to you by the same person who gave the original philosophy essays? As I mentioned, I have awakened literally thousands of people to the WingMakers materials. I refer these people to the originals, as I find the changes made to the website after 2001 to have taken on somewhat of a hierarchical flavor which goes against the intentions of the teachings in the WM philosophical essays. I would very much appreciate if you could tell me something about how these first changes were made and your involvement. Many people have asked and continue to ask me about this, so I would deeply appreciate an answer. Thanks so much for having the courage in the first place to post this material, Mark. I know you've had to take a lot of flack that has been thrown your way over the years. I am deeply grateful to you for bringing this incredibly transformative material to me and so many others. Thanks for your email. It's good to meet you, and better understand what you do. Question 1: Where it once freely provided inspiration through a story, poetry, paintings, philosophy, and music, the WingMakers website began to transform into a commercial endeavor, making the original content and other material available for sale. Whose decision was this? Answer 1: There are many dimensions to this question. First and foremost I think it's important to understand that the web in 2000 was quite different than it is today, relative to bandwidth. Most people were operating with 56K dial-up modems, which meant that downloading 20MB music files and 200MB art graphics was not an option. James felt that the encoded information contained in the music and art was best appreciated in higher resolution than the compressed file format of 100K JPEG and 96K MP3 files. Shortly after I was contacted by Sarah and James to launch the site, they asked me for my opinion on how to bring the higher resolution files to the internet. I explained that CD-ROM would be a good option and the First Source disc was born. James is an experimenter in terms of how to release the encoded data streams (EDS) to the public. One of the reasons he originally contacted me (I learned later) was because of my work with Internet radio, having been one of the founders of the NetRadio, the Internet's first multi-channel radio station. James knew that it would take another 5 years before broadband became more ubiquitous worldwide. So, this was the primary motive behind getting EDS content to the masses. Remember, everything in existence is composed of frequencies. These frequencies entrain and resonate with other frequencies. The higher frequencies contained in light (chamber paintings) and sound (chamber music) are not transmittable via low quality, compressed files. Now, that said, let me make clear that nothing that was on the site previous to the sale of the high resolution music or art was subsequently made available for sale afterwards. Everything that was free before was free after… no exceptions. In fact, since the "commercialization" of the WingMakers site much more free content has been added, not to mention the sites of Lyricus and Event Temples—both of which are completely funded by WingMakers and are 100% free. Which is all part of the plan. When I started getting the materials sent to me to publish the site, I knew someone was behind the content creation that was not a regular guy, so to speak. I didn't know it was one person as it seemed logical that a group was behind the content. However, as I began to get involved in the production of the First Source disc, I began to interact more with Sarah and finally James came into the picture about the middle of production. He began to make his presence felt in the reviews of the interface, content, and overall design. And then I had a formal email introduction and it was clear, or at least clearer, what the project was about and who was its creator. That said, I remained a doubting Thomas right up to the day I met James in person in upstate New York. That meeting made it clear that he was orchestrating not only the content but the entire vision of what WingMakers > Lyricus > and Event Temples was creating. Question 3: Did you know that the story around the discovery of the WingMakers site was changed and gradually given a very different spin? Yes, of course, but I would disagree that it was given a very different spin. I think it's actually quite similar, but there is much more texture and detail in the Ancient Arrow story than was ever released in the initial story, which was really a placeholder of sorts. The original site was planned to be a bit of a sleeper site in the sense that James was not really expecting it to be seen by many people, because we weren't going to promote the site, but simply release it without any fanfare or publicity. This would permit us to modify the content. This was before the time of staging servers and production servers. But someone or some group got wind of it and it sort of "busted" into the mainstream in a matter of a few days. It really surprised me how fast and furious it happened. In any case, that's the main reason the story seems different. The first story was meant as a placeholder, while the full story was being edited and prepared to replace it. Question 4: Are you aware that the discovery date of the Lost Arrow site was changed from 1972 to 1996? I knew about this, but in light of what I mentioned in the last question, it didn't make an impression on me. Question 5: Two additional philosophical writings (both of which overall did not deeply resonate with me) were also added to the original two (which were both originally given on one webpage). Were these given to you by the same person who gave the original philosophy essays? Yes, James is the author-creator-translator-composer-artist of all of the content related to WingMakers, Lyricus, and Event Temples. Question 6: I refer these people to the originals, as I find the changes made to the website after 2001 to have taken on somewhat of a hierarchical flavor which goes against the intentions of the teachings in the WM philosophical essays. I would very much appreciate if you could tell me something about how these first changes were made and your involvement. Many people have asked and continue to ask me about this, so I would deeply appreciate an answer. I'm not sure how to answer this question since the only thing I have personally seen—relative to the content from James—is that it seems to get more practical and heart-centered. I don't get any sense of "hierarchal flavor" as you put it. If any thing, the latest content releases from James seem more grounded and down-to-earth. If you read The Rising Heart (James' latest writings), I think you'll see what I mean. While the writing is similar to the Chamber Philosophy, it also provides very practical instruction with graphics. His previous paper Living from the Heart is even more practical and feels more of the street than the sky. James is not a televangelist personality or one of those authors who latches on to the lecture circuit and beats the pavement to sell books. He is quietly behind the scenes providing a framework for consciousness and how one can live from their heart through the practice of the six heart virtues. His encoded data streams are his way of "re-packaging" the cosmic sound and light into a three-dimensional construct. He never talks down to anyone or bad mouths any other approach to one's divinity. He diligently denies he is required in anyone's awakening or its sustenance over time, in fact it's one of the reasons he remains anonymous so no one looks to him as a personality worthy of aspiration. He has always said that his works are only potential pathways to find one's own living truth inside themselves. This living truth is the only thing that really matters because it is always accessible and can never be taken away once found. I hope my answers are helpful in some way, Fred. It's great to better understand your role in the shift that's occurring. It's wonderful to see your commitment. Thanks so much for taking time to provide detailed answers to my questions. I deeply appreciate your willingness to address my concerns about changes to the original WingMakers website. Though for me the website clearly took on a more hierarchical flavor during the changes made in 2001, I very much agree that in his recently developed content, James seems more grounded and heart-centered than earlier on. I read his Rising Heart essay, and though it did not nearly reach the level resonance of the original WM material, I was very pleased that it was significantly less hierarchical than previous material attributed to him, and much more centered around the heart and inner wisdom. Here is why I don't trust the changes made in 2001, Mark, and even much of the content on the current website. The 2001 changes introduced the concept of a superior Central Race (of which the WingMakers are supposedly a part) which can save us, of a Lyricus teaching order from this race, and of a mysterious "grand portal" leading to scientific proof of the soul. None of these concepts were part of or even mentioned on the original WingMakers website. Yet the insertion of these key concepts was among the first changes to the website. These concepts are quite different from the original WingMakers writings, which were all about opening ever more to divine wisdom from within ourselves, and about moving beyond the teacher/student ordering of the hierarchical paradigm to recognize the divine equality of all beings. Among other major changes in 2001, I was amazed to watch the interviews section of the site change so that some parts were completely deleted, others added, and certain distances of stars mentioned were even changed. Why would anyone go to the trouble of changing the distances of the stars mentioned? If there is only one question you can answer, this is the one that is most important to me. When I compared the original interviews with the changed version, it became quite clear to me that someone was trying to hide something. Did you ever compare the changes made, Mark? I would also point out that for the first couple years after 2001, virtually no mention was made on the website of the gradual, yet significant changes being made. Clearly significant money was supplied to create the sophisticated changes made to the website in a gradual way so that they wouldn't be easily noticed. Can you tell me where that money was coming from for all this? I will share honestly with you my suspicion that some highly intelligent group, which obviously has ample funds, took control and gradually changed the original website, distorting the information so that those seeking the deep WingMakers wisdom would be subtly led back towards hierarchical ways of thinking. I suspect James is the spokesperson or public face for this powerful group. The WingMakers would never have considered themselves part of a superior race or recommended following the teachings of a special order of teachers. The deepest wisdom resides within each one of us. Those of us who understood and resonated deeply with the original material knew without doubt as soon as the changes began to be implemented that the new material was of a different source. I don't in any way mean to blame you or James or make you wrong, Mark. I am simply one who has been on a deep, lifelong mystic path of spiritual self discovery. Upon reading the original WM material, I wept at reading wisdom far, far more profound than anything I had ever come across in my many years of reading and study. As I watched the intent of those original writings become gradually watered down and distorted from their original purpose, I think you can understand why I was dismayed, and why I'd like to know what happened. I understand that you were only peripherally involved with all of this, yet you know far more than anyone I know about all this. I deeply appreciate your willingness to discuss this with me and very much welcome your response to my questions here. Thank you for bringing those amazing original materials into the public domain. You changed my life in a most powerful way. P.S. Please give my warmest regards to James. I would so love to meet him and you. Note from Fred: My unwavering life commitment is to what's best for all beings and to personal and global transformation through love and empowerment. I started to answer your questions, but as I was writing, I felt my knowledge wasn't up to par. So, I forwarded your email to James yesterday. I can't guarantee he'll answer you because I'm not sure what his response percentage is, but I know he does answer some of the emails I forward because I've heard back from some people who were thankful for his response and they copied me. I've also heard from others that he didn't respond. So, what I'd propose is that you wait a week and if you don't hear anything drop me a line and I'll compose my answers as best as I can. James sent me a response to your questions and I've attached his answers to this email. Q2: Among other major changes in 2001, I was amazed to watch the interviews section of the site change so that some parts were completely deleted, others added, and certain distances of stars mentioned were even changed. Why would anyone go to the trouble of changing the distances of the stars mentioned? If there is only one question you can answer, this is the one that is most important to me. When I compared the original interviews with the changed version, it became quite clear to me that someone was trying to hide something. A2: There were a handful of changes made in the interviews, but I'm not sure why this would be so important to anyone, especially the type of changes you've referenced in your question. The simple and prosaic answer is that I created slight variations in the WingMakers Materials as a means to track them. As you're undoubtedly aware, placing content on the web is different than a book format in the sense of the copyright controls. Within the first year of release there were several unscrupulous individuals who were packaging the WingMakers content and selling it to others. Others were not selling it, but essentially appropriating its content under their own name or brand. I was aware that this would be an attribute of using the web as a distribution center for these works, and wanted to track the permutations. Q3: I would also point out that for the first couple years after 2001, virtually no mention was made on the website of the gradual, yet significant changes being made. Clearly significant money was supplied to create the sophisticated changes made to the website in a gradual way so that they wouldn't be easily noticed. Can you tell me where that money was coming from for all this? A3: The projects related to WingMakers.com, Lyricus.org, and EventTemples.org are all funded 100% through the sales of the WingMakers CDs and art reproductions. Q4: I will share honestly with you my suspicion that some highly intelligent group, which obviously has ample funds, took control and gradually changed the original website, distorting the information so that those seeking the deep WingMakers wisdom would be subtly led back towards hierarchical ways of thinking. I suspect James is the spokesperson or public face for this powerful group. The WingMakers would never have considered themselves part of a superior race or recommended following the teachings of a special order of teachers. The deepest wisdom resides within each one of us. Those of us who understood and resonated deeply with the original material knew without doubt as soon as the changes began to be implemented that the new material was of a different source. A4: I think I have answered this question already, but to put a finer point on it, I would add that while the deepest wisdom resides within the individual, there is no one who finds it without help. There is a need to have teachers and way showers. There is a need to have activating content. There is a need to have one another to inspire the insights and fire the imagination. The Universal Field of Living Truth flows underneath each of us just as surely as water flows beneath the ice of a frozen river. But there are certain outlooks, certain perspectives, and certain techniques where the interface to the deeper truths is improved, and it is easier to break through and draw it into your life. Thank you so much for forwarding that in-depth response from James. I am deeply grateful to both you and James for taking the time to respond to my questions. Could you please send James my response below? Thanks again for playing a key role in the major expansion of my own awareness, and you have a great one! I deeply appreciate your in-depth response to my questions about changes in the WingMakers material. I very much respect your intentions of spreading heart energy in the world and preparing humanity for a major shift. As I have followed changes to the WM website since 2000, I've been happy to see in the last year or two what has felt like a more open and heart-centered energy. I also know you've been in communication about your work with wonderful people like Teka Lutrell, someone whom I deeply respect for his commitment to shifting the paradigm on our planet. Thank you for opening to this kind of collaboration and for inviting us all to open our hearts more. I have some important questions regarding your response to my previous message. To give a quick background, even as a child I understood sacred love and the interconnectedness of all beings. I have been on the mystic path for most of my life on this beautiful planet. Though I've never followed any one path exclusively, I have studied and participated in most major religions and their associated mystic branches, finding that each of these contains their own unique kernels of truth and wisdom. I love a saying of Gandhi, "If a man reaches the heart of his own religion, he has reached the heart of all religions." In recent years, I have become aware of the spiritual hierarchy discussed by key figures in the metaphysical and occult literature like Alice Bailey and in tools like the Urantia book. Having studied and explored many different aspects of spirituality over the years, I was amazed when I came across the original WM philosophy in 2000 to find something far deeper than I had ever found in my many years of spiritual exploration. I instantly felt an incredibly rich, deep resonance with this material, as well as with the creators of the material. Though my eyes and spirit were opened in incredible ways on a conscious level, on another deeper level, I realized I had already known everything that was being shared. I was rapidly activated to a significantly expanded state of consciousness by this amazing material. The most powerful opening I experienced in digesting the original WM philosophy had to do with the ascension agenda. Like so many here on Earth and in other star systems, I had shared in the collective desire to get beyond the trials of this planet, to soar beyond this physical reality and ascend to higher spiritual realms. After being so powerfully activated by the WM material, however, I instantly realized how mistaken I had been. I saw that my mission is not at all about ascending. When the fragments are aligned and inter-connected, the entity becomes the instrument that facilitates Source Reality expansion. Thus, the entity does not ascend from the time-space universes, but rather coalesces into a state of wholeness whereby its sovereign expression can assist in the expansion, or in a different context, the descent, of Source Reality into the time-space universes. Ascension is often construed as the natural outcome of evolution. That all planetary systems and species are evolving to the point where they ascend from limitation, and that eventually, the time-space universes will somehow fold into Source Reality and cease to exist as fields of vibration. It is actually quite the opposite. Source Reality is descending. It is inclusive of all things, and it is the Source intention to expand, not retreat. The entity transforms to wholeness within the cradle of the time-space universe, and, in so doing, becomes the accessory of Source Reality's intention to expand. These words powerfully awakened a part of me that had been dormant during this particular life sojourn, James. I and many others on a path similar to my own were thrilled with how this material awakened us. We right away felt and resonated with the very high vibration. Starting in 2001, we also felt how that high vibration was subtly, yet significantly diluted with all of the changes made. In my core essence, I know that the author of the original WM material and the author of the changed material are not the same. The vibration is just too different. Yes, the beings behind both the original material and the changed material are ultimately from First Source or Prime Creator, as we all are, but there is a very difference resonance between the original and the changed materials. It will become the fundamental purpose of the hierarchy to slowly remove these barriers to equality in such a way that the hierarchy appears to be the savior of consciousness rather than the guard of consciousness. Much of the new material for me resonates at the level of the hierarchy referred to in the above quote. Though recently I have seen more heart energy -- which I truly appreciate -- there is still a lot of hierarchical language being used on the current website and in your letter to me. Yes, it is subtle and your material clearly vibrates at a rate higher than most of what is available currently on this planet, yet the original WM material had none of this. Considering this, can you honestly tell me that you wrote the original material and that all of these changes are simply additions? Back in 2001 and 2002, I carefully compared the many changes made to the interviews, and it is not only star distances that were changed. Regarding star distances, I know that whoever changed those distances wanted to hide what's really going on related to certain ET species. Can you give me a valid reason why someone would change the star distances if only making "additions" to the story. And there are so many other changes. The portrayal, for instance, of 15 is shifted such that he appears much more benign than he was in the original interviews. I can show you the many specific deletions and additions which reveal a very specific, albeit subtle, hierarchical agenda behind all of these changes. Were all of these simply "additions"? I have revealed a great deal of who I am and who we are to you here, James. So I would now like to ask you directly, who is behind all of these changes? Who are you working with, and how much do you really know of all that is going on here. I understand that you may not be at liberty to reveal some of these things, but I would appreciate an honest answer. I resonate strongly with the original WingMakers, so I can perceive the resonance at which you vibrate in your communications, and it is not the same. I have been aware of the parallel planet agenda for some time. On a spirit level, I know that this is the hierarchy's agenda. I understand that you support this agenda and trust that you are doing what you believe to be best. Yet when I open up to guidance from the divine for what's best for all of us, I have received clear guidance to reveal the parallel planet agenda as a means of separating us from ourselves, because I know -- and you know -- that we are all interconnected on the deepest levels. I want to be a force which invites every one of us to connect ever more clearly with all of us through our divine essence. I don't want to abandon to another planet the more dense aspects of myself, which are a more dense aspect of all of us. I want to invite all densities to dance together in this beautiful cosmic dance. If it feels right to you, I invite you to join me and the many who resonate with me in this exciting expansion of divine energy into all densities. The most profound truths are quite simple, James, and anyone can access them. You know this and are even teaching some things along these lines now. Yes, the energies can be confusing to many living in the thick Earth density, yet whenever anyone chooses to open to the deep wisdom within their own soul, the Divine reaches out (or reaches in) to touch that soul and guide them. I invite you and your colleagues of the LTO to join those of us who are here to assist in this process of the expansion of the divine into all universes. Like all beings, you and the LTO are always free to choose the path that you believe is best. Yet also be aware that I and many others are working to invite all here to open to the wisdom that lies deep within without any need for external teachers or an evolutionary framework built around ascension. I am thrilled to have had the privilege to open many thousands of people to the wisdom of the original WM material. I know that I am one of those who is building bridges, yet there is no name on the bridge. It is simply a bridge, a neutral tool which takes people deeper into their own divine wisdom understanding. Thank you for the key role you are playing in all of this James. I don't know how much you are aware of what you are doing on the deepest energetic levels in your work, yet I am fully aware that everything that you and I are doing is all a part of the expansion of the divine in our world. In the end, every one of us is playing our role with divine perfection. I am deeply grateful for the role you are playing, James, and the role being played by those working with you. In the end, we are all beautiful mirrors for each other reflecting the many amazing and unique parts of ourselves to each other. And when we come together to work for both personal and universal transformation, life cannot help but become a rich, miraculous journey for us all. Thank you for your presence on this planet, and I very much welcome your thoughts on all of this. Note: My unwavering life commitment is to what's best for all beings and to personal and global transformation through love and empowerment. Ascension is of the teacher-student ordering of the universe ... It defines the subtle aspects of self-deception that are caught-up in the spiritual belief systems of Earth and the interdimensional planes as well. If you believe you are in the process of ascending, ask yourself the questions: Where I am ascending to? Are my mental pictures of ascension based on my own experience or have they been downloaded from the information and knowledge systems of humanity? 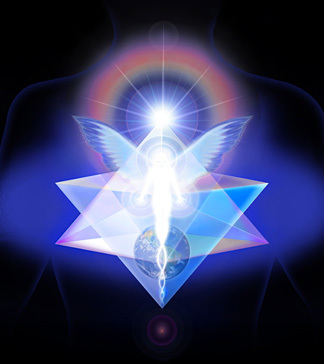 ... All of the energy, efforts, attention and learning that are placed on the ascension process are a diversion from your own realization of the Sovereign Integral. I am thrilled that James' own view seems to be evolving. In this interview, he seems to be inviting us not to abandon others by hoping that some will ascend to a heavenly version of Earth, while others will suffer on a hellish Earth. He is no longer supporting the ascension process and the parallel planet agenda mentioned in his communication to me. Thank you, James, for opening more to the interconnectedness of all of us. May we all embrace all beings as our divine brothers and sisters, as beautiful manifestations of All That Is. I wish you a beautiful journey in your explorations of the WingMakers material and of life and the world and universe in which we live. Remember that the deepest answers are always there inside of you. The Divine is patiently waiting to reach out (or reach in) to touch and guide any soul who asks from their heart for guidance.